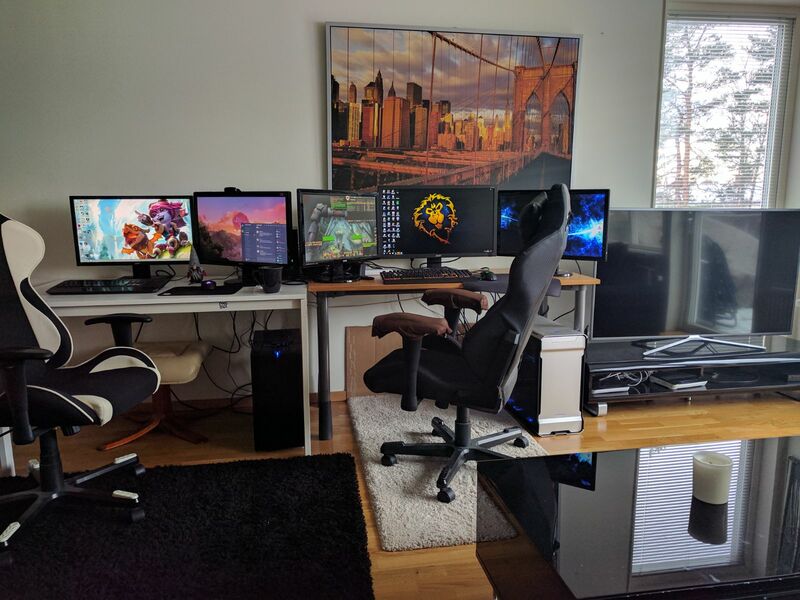 Would be cool to see how your gaming setups look like. THe place where you sit and game :) I'll start off by posting mine and my womans. Left side is where my woman sits. She has x2 24" screens and a decent overall PC. DxRacer chair. Ignore the carpets, they were temporary ^^ Now we have plastic ones to protect the floor. My station has x2 24" screens and one 27" in the middle with 1ms 144Hz spec. The ugly noctua fans are gone. I put back the original black case fans, they do the job just fine. I post a pic tonight. Analyze, wtf, i thought you were good with photoshop? you don't need to clean up.